Tech stock investors are a nervous bunch these days, and they have a right to be. Analysts are skeptical that these well-known (and heavily overbought) companies can grow revenues enough to justify the recent moves in their stock. One wrong whiff and these tech stocks could drop sharply in a single day! Valuations are a serious worry for investors. When the market drives a company higher despite high price-earnings ratios (especially on forward estimates), that’s a signal of strong growth ahead. The savvy investor, however, knows to avoid companies with prospects that are not as great as everyone thinks. Even one short-term blip, such as disappointing earnings results, can decimate stock prices. The following seven stocks trade for forward P/Es of more than 50 — more expensive than the market a couple of times over, and far enough into the “danger zone” to start worrying. Each of these stocks could be a big target for selling amid the next broad market downturn. 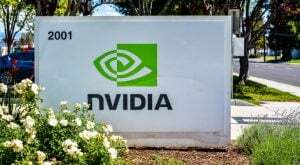 Nvidia Corporation (NASDAQ:NVDA) fell after Pacific Crest forecast no growth in the company’s earnings in fiscals 2018 and 2019. The analyst cited desktop market saturation and low profitability from the Nintendo Co., Ltd (ADR) (OTCMKTS:NTDOY) Switch console. The latter point is valid: Nintendo will likely sacrifice profitability in console sales in exchange for growing market share. PC desktop saturation already happened; sales dropped steadily in the past few years. Despite its release of the GTX 1080 and ultra-expensive GTX 1080 Ti graphics card, games have not advanced much. A PC gamer does not need to upgrade to the latest technology to play the hottest titles from Electronic Arts Inc. (NASDAQ:EA) or Take-Two Interactive Software Inc (NASDAQ:TTWO). NVDA does have growth potential in AI, autonomous driving technology, and in the server space. Even so, the first quarter is seasonally slow. The chances of Nvidia reporting an underwhelming quarter is above average. Nvidia’s fair value is $68 a share, based on future cash flow value. At today’s stock price of around $101, Nvidia is valued at 32.7 times earnings, which is in line with other semiconductor stocks. Its price-book of 10.2 times is high, compared to the industry average. Netflix, Inc. (NASDAQ:NFLX) is growing subscriptions at an incredible rate. Since 2016, it added 130 new markets (countries) where Netflix services are offered. Management is overly optimistic: the company thinks it could generate around $2 billion in free cash flow this year. Investors are so enamored with the user growth that they ignore the huge investments NFLX is making in content. Moving toward original content has its risks, too. In comedy, for example, it is showing content from Amy Schumer, Dave Chappelle, Trevor Noah and Jim Norton. What did Netflix do in response to comments Amy Schumer was not funny? It removed its star-rating system. Once again, Pacific Crest rated the stock a “neutral,” citing uncertainty in the timing of positive catalysts. The analyst is likely doubting the sustainability of the growth in Netflix’s customer base. Any stumble in that metric will send the stock sharply lower. Another risk factor for NFLX stock is an overly aggressive capital expenditure plan. Though, investing lots into the business is good in the long term, low profitably may spook shareholders. 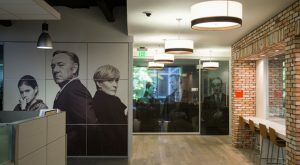 Splunk Inc (NASDAQ:SPLK) reported a strong fourth quarter on Feb. 24, but gave a light guidance for the first quarter. It expects revenue of $231 million to $233 million. Despite the forecast, analysts did not downgrade the stock. The implication of seasonal weakness and slowing momentum in the business suggests that investors should bail. The application software provider does not have the consistency of strong results that would justify paying more than 50 times earnings. Splunk proudly reported momentum picking up for its cloud business. Thanks to contract wins for cloud deal, including Randstad, an HR and recruiting firm, the company is positioned for growth in cloud-based solutions. Yet full-year revenue from the cloud totaled $47.8 million. This is just a small portion of its $950 million in revenue. It will clearly take more time before Splunk’s profitability expands. Bumpy revenue in the quarters ahead may get growth investors nervously selling first and asking questions later. The chances of GoPro Inc (NASDAQ:GPRO) bouncing back are slim. The company is projecting first-quarter revenues of between $190 million to $210 million. Though, shares trade roughly on par with sales, the business is clearly shrinking. GoPro is cutting around 270 jobs, saving $200 million annually. Its latest move in complementing its action camera business with its drone product has risks. GPRO must compete with DJI, which has a line of great products. Some of DJI’s top products include the Mavic Pro and Phantom 4. While GoPro’s Karma drone targets the outdoor, active consumer, DJI is covering that market, too. It even has drones for professional filmmakers. Short float on GPRO is massive, at 47.91% of share float. The latest $150 million convertible debt offering is helping to validate the bear case. In the smartphone space, BlackBerry Ltd (NASDAQ:BBRY) is a clear loser. It has almost no market share, ceding nearly all of it to the Android and Apple Inc. (NASDAQ:AAPL) market. CEO John Chen characterizes the company as a software company. Last fiscal year, BBRY generated $622 million from software and services. The $16 million in free cash flow is small. If software sales grow at a faster clip, betting against BlackBerry is the wrong move. Without more advertising spending, chances are low that TCL, the company making the hardware for BlackBerry, will sell many devices. BBRY’s latest Keyone has potential, but smartphones having a physical keyboard are not popular. After its share spiked above $8 following quarterly earnings, a drop back to $7 is possible. Tableau Software Inc (NYSE:DATA) operates in a fiercely competitive market. 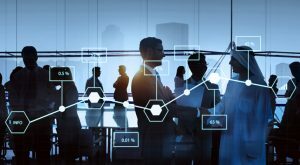 Corporations are choosing to buy bundled software solutions instead of standalone software analytics. Microsoft Corporation’s (NASDAQ:MSFT) SQL Azure product runs on the cloud and is bundled with reporting services and other data mining tools. Microsoft Power BI is also cheaper and more effective than Tableau’s product. DATA’s expected revenue growth over the next three years is a negative 7%. On its conference call on Feb. 2, management discussed results using non-GAAP numbers, hiding the dismal lack of cost controls. The company hid two key numbers: R&D expenses and stock-based compensation. Per its 10K, R&D costs for the past three years were $302.8 million, $204.1 million and $110.9 million, respectively. Stock-based compensation rose from $119.5 million in 2015 to $185.7 million last fiscal year. For the full year 2016, the company lost $1.92 per share, from a loss of $1.17 in 2015. Investors place lots of faith in Autodesk, Inc. (NASDAQ:ADSK). Yet in the fourth quarter, the company reported revenue falling 26% year-over-year (PDF). Even after projecting Q1 revenue of $460 million to $480 million, below consensus, the stock closed near its yearly high. Cloud sales explain the yearly drop in revenue. Adobe Systems Incorporated (NASDAQ:ADBE) successfully shifted from software license sales to subscriptions, so investors do not want to miss out on Autodesk’s potential future profitability growth. But even with Adobe at yearly highs, its shares offer stronger potential than Autodesk. ADBE stock’s forward P/E is at 26 times compared to 73 for ADSK stock! As of this writing, Chris Lau was long BBRY stock. 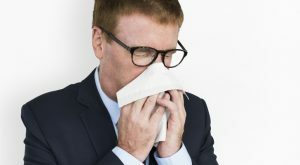 Article printed from InvestorPlace Media, https://investorplace.com/2017/04/7-tech-stocks-that-are-a-sneeze-away-from-collapsing/.